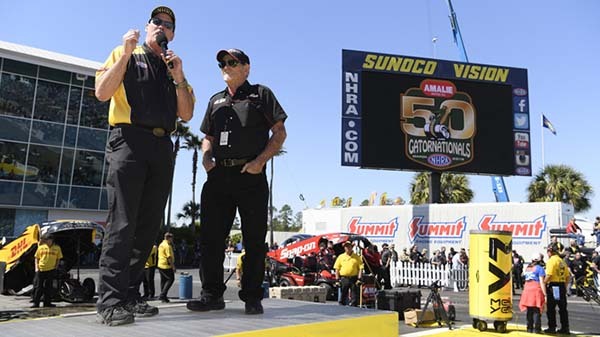 At the 49th annual Amalie Motor Oil NHRA Gatornationals, drag racing legend “Big Daddy” Don Garlits helped NHRA announce the launch of a momentous celebration leading up to the 50th year of this iconic event in 2019. The NHRA Legends Tour will feature some of NHRA’s most beloved figures from the early days of drag racing including Garlits, Shirley Muldowney, Kenny Bernstein, Tom “Mongoose” McEwen, Don “The Snake” Prudhomme, Joe Amato, Ed “The Ace” McCulloch, “The Bounty Hunter” Connie Kalitta, and “Big” Jim Dunn, as well as a host of local drag racing heroes. At each stop on the NHRA Mello Yello Drag Racing Series circuit, the NHRA Legends Tour will provide fans with a once-in-a-lifetime opportunity to interact with a few of the most renowned names in drag racing at meet-and-greets, autograph sessions and a variety of other activities. The tour wraps up next year in Gainesville, FL as all of the biggest stars in drag racing come together for one colossal blowout to celebrate the 50th annual Gatornationals. Never before have so many NHRA legends been gathered in one place. 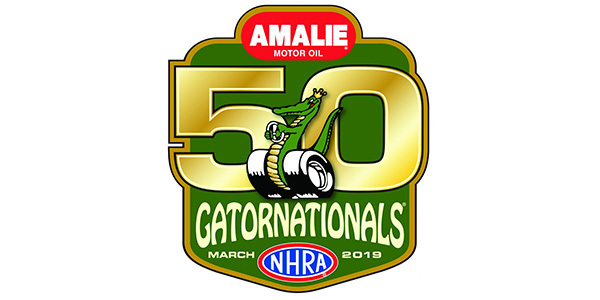 Underway now, the NHRA Legends Tour will take place at each stop on the NHRA Mello Yello Drag Racing Series leading up to the 50th annual Amalie Motor Oil NHRA Gatornationals, currently scheduled to take place March 14-17, 2019. Appearances are subject to change. For more information or to purchase tickets: www.nhra.com/gatornats.